Ranthambhore| Friday, 22 Jan 2016. Ranthambhore: T-30 or Husnara, a 12 years old tigress was found dead on 21st January, 2016 in Ranthambhore Tiger Reserve. The dead tigress was found in Khandar area, Ganesh Nagar, Padra village which is beyond tourism area. The tigress was initially found in sick condition by the local villagers who then, informed the Forest Department, following which a team of veterinarians and forest official rushed to the spot to check on her. They found her struggling to move her legs for a while before she breathed her last. She was a dominant tigress of Jail-Khoh and Gilai-Sagar area. She was popularly known as Mango mother. She roamed between Jail-Khoh, Khatola-Khoh, Pretdeh and Sikari area. Little is known about her early life. She had given birth to nine cubs in four litters in her life span. She littered one beautiful male cub along with T-20 (Jhumru). The male tiger was known as T-33 ( Hamir) who is a dominant tiger and established his territory at Bhind and Talada range in Ranthambhore Tiger Reserve. T-30 produced her second litter - three cubs including two males and one female, again father by T-20. The cubs are known such as T-42, T-43 and T-44. The Tigress, T-44 was shifted in Sariska Tiger Reserve while T-42( Fateh) and T-43( Surjan) both established their territories in zones 9 and 10 of Ranthambhore Tiger Reserve. She gave birth to third litter that included two females and one male fathered by T-3( Bahadur). The third litter was spotted in camera trap in April 2012. These three cubs are known as T-69 (female), T-70 (female) and T-71 (male). T-69 moved in Kaila Devi area. T-70 has made her territory in Sawata Dang area while male cub, T-71 established his territory at Kaila –Devi range. She gave birth to her fourth and last litter of one male and one female cub, fathered by T-3. Both the cubs haven't been given numbers yet. They have been staying with their mother. She spent her life with two different dominant male tigers, T-20 and T-3. Both these tigers are offspring’s of T-16, the great Machhali. She was a great mother. She produced four litters with nine cubs which is the highest number in Ranthambhore history. No doubt, she was a great mother of Ranthambhore tiger fraternity who played a critical role to sustain not only Ranthambhore tiger Reserve but also Sariska Tiger Reserve as, her daughter T-44 was shifted to Sariska Tiger Reserve when the reserve lost all its tigers. She was the pride of Ranthambhre, but she was always away from glory and popularity because she had spent her whole life in an area beyond the tourism limits. We will really miss you, Mango Mother. 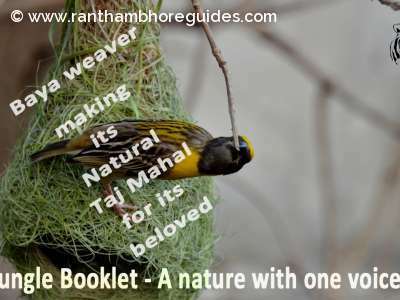 You were really the pride of Ranthambhore Tiger Reserve. God bless you! I deeply mourn the sad and sudden demise of the mother mango. She was very similar to the queen of the Ranthambore reserves...one of the most beautiful tigress of Ranthambhore Tiger Reserve. We will miss her very much . It is very painful to loose a precious tiger. There are senior tigers like machhli... To nema few, are T-30 the tigress we lost here and T-22, Gayatri.. The mother of Ustaad and Zalim.. Tigers like these can be helped to survive longer, if the tourism is further expanded in RTR. Machhli is the best example of it. She is 19 Yrs old and still going. Expansion of tourism will also help distribution of vehicles in one route. It should be given a serious thought if it helps our tiger to survive longer... I agree to it. 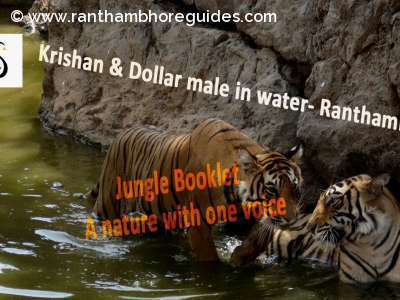 it is very sad news and big loss for Ranthambhore. Mango mother, Great mother of Ranthambhore Tiger Reserve. It was a great lost for wild life lovers. It is really shocked news for us. ITS very unfortunate that t 30 dies .ACCORDING to media reports villagers told the department that a female tigress is found lying near the village and she is not able to move ,after several hours of severe pain she lost her life.A big question is raised after the death of t30 that core zone tiger are not monitored properly in ranthambore ,forest department is busy in tourist activities ,than why people are blaming central govt for deducting 40% funds for non recurring activities.IF state is not able to control there department ,so why should center should give funds for there negligence and no body was fund accountable for any thing happen in tiger reserve. It was great loss of great mother of Ranthambhore Tiger reserve. In Ranthambhore tiger fraternity, she was most important tigress of tiger reserve. We really miss her as Ranthambhore Pride .and we salute her !